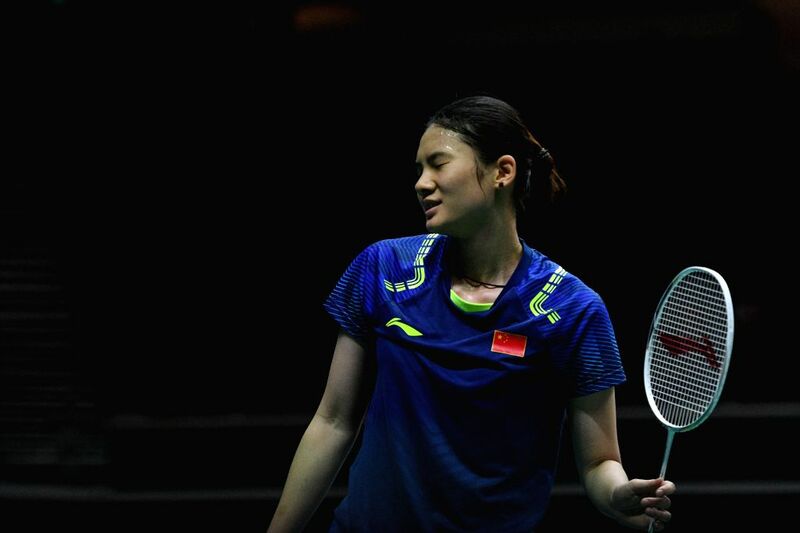 SINGAPORE, July 21, 2018 - Han Yue of China reacts during the women's singles semi-final match against Sayaka Takahashi of Japan at 2018 Singapore Badminton Open held at Singapore Indoor Stadium in Singapore, on July 21, 2018. Han Yue lost by 0-2. 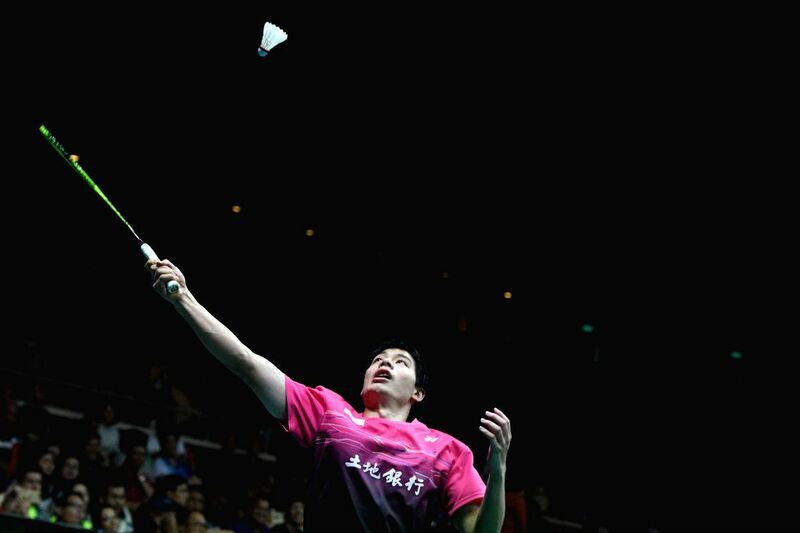 Hsu Jen Hao of Chinese Taipei hits a return during the men's singles semi-final match against Tien Minh Nguyen of Vietnam at 2018 Singapore Badminton Open held at Singapore Indoor Stadium in Singapore, on July 21, 2018. Hsu Jen Hao won by 2-0. 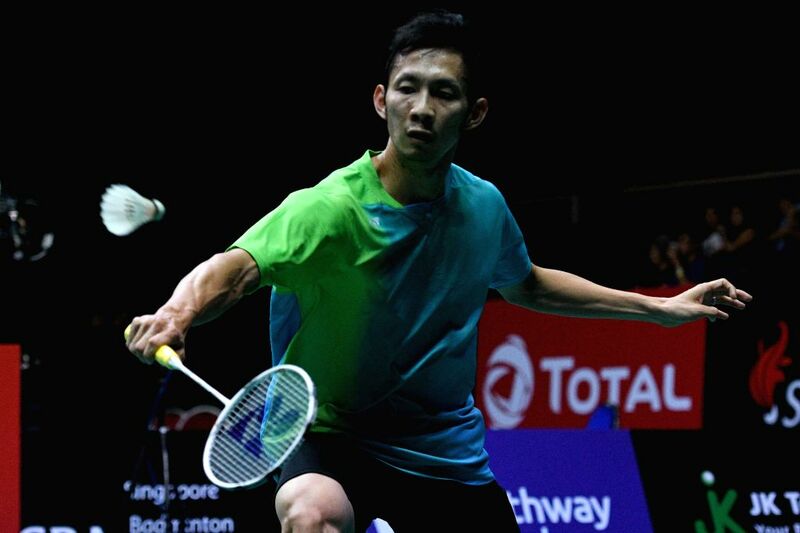 Tien Minh Nguyen of Vietnam hits a return during the men's singles semi-final match against Hsu Jen Hao of Chinese Taipei at 2018 Singapore Badminton Open held at Singapore Indoor Stadium in Singapore, on July 21, 2018. Hsu Jen Hao won by 2-0. 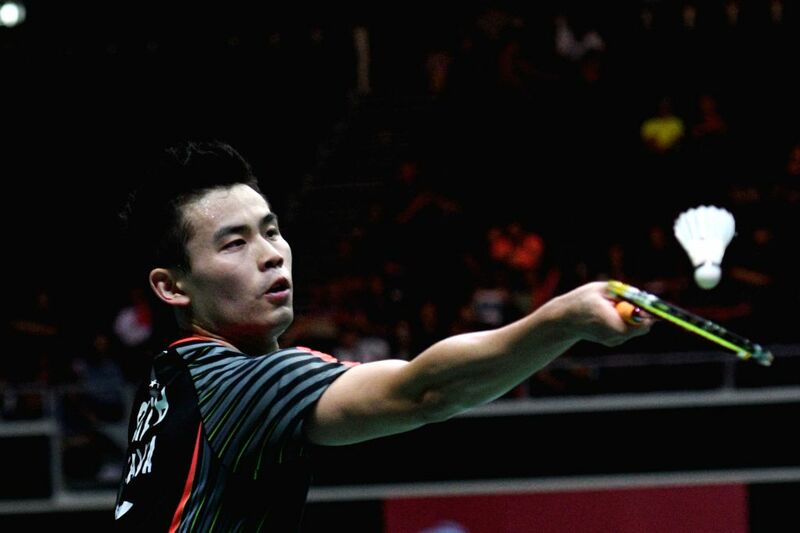 Qiao Bin of China hits a return during the men's singles semi-final match against Chou Tien Chen of Chinese Taipei at 2018 Singapore Badminton Open held at Singapore Indoor Stadium in Singapore, on July 21, 2018. Qiao Bin lost by 1-2.